Congratulations to Patrice Hunt! She’s the winner of our Sheabella Tutu giveaway. On December 1, Patrice and her family create a paper chain to count the days until the 25th. Each link features a favorite family activity on the reverse side, like baking cookies, making a special ornament or watching a classic holiday film. We love the Hunt’s sweet tradition and hope to do the same this season. Thanks so much to Patrice and all of our great readers for sharing their traditions! 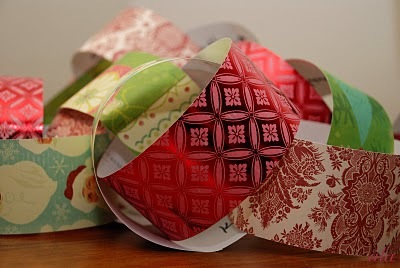 For instructions on how you can make an paper chain like the one photographed above, visit The Simply Sweet Life.